Stamped concrete is the process of adding colors, patterns and textures to regular concrete at the time of pouring. The pattern is made by imprinting the newly poured concrete with concrete stamping mats. Stamped concrete is designed to resemble brick, slate, flagstone, stone, tile and even wood. Two-toned or antiqued finishes can be achieved with the use of color hardeners and release agents or the entire surface can be stained a solid color with advanced pigmented sealer. Due to the wide array of options when it comes to concrete pattern, concrete colors, and the cost of stamped concrete in relation to the materials it is a substitute for, the choice of stamped concrete is becoming more popular and frequent. Stamped concrete can be used to beautify pool decks, driveways, entries, courtyards, and patios. Stamped concrete can also be blended with other decorative concrete elements such as exposed aggregate finishes and acid-etch staining, along with a particular pattern, such as running bond brick, hexagonal tile, worn rock or stone. Concrete provides the perfect canvas for creating an economical replica of more expensive materials, and yet still maintaining a very natural, authentic look. Stamping concrete has been around for at least 50 years. Stamping increased in popularity in the 1970s after it was introduced at the World of Concrete expo. Builders saw it as a new way to satisfy the customer and keep their costs low. When stamping concrete first began, there were very few choices in colors or textures. As the industry grew, more stamping patterns were created along with many different types of stains to give us the vibrant colors we have today. 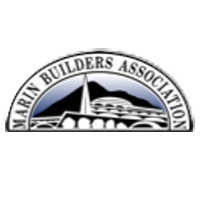 Located in San Rafael, Van Midde and Son Concrete installs stamped textured concrete in Marin County, Sonoma County and throughout the San Francisco Bay Area.